Are New Zealand’s EMR regulations sufficient to protect public health? To give one example, the legally allowable electromagnetic fields (such as are present around power lines and household wiring in home connection to the national electricity grid) is 2000 milligauss. Research has shown the risk of childhood leukaemia is increases when children live in homes with higher electromagnetic fields from household wiring or too close to high voltage powerlines. Yes, that is not a typo, the risk of this form of childhood leukaemia doubles at 1/500th of the maximum legal exposure limit. Does it seem to you like the standard is adequate to protect health? The standard* for radiofrequency radiation (RFR) in the microwave range (let’s just call it microwave radiation for short) varies according to exact frequency produced by the many different devices that are designed to produce microwave radiation. Devices that produce microwave radiation include microwave ovens, cordless phones, cell phones, cellular phone infrastructure, “smart” or “advanced” electricity meters, wi-fi routers, wireless baby monitors etc. etc. Cordless and mobile phones have to comply with regulations in order to be sold. An increased risk of cancer in their longer term users suggests that the safety standards for wireless phones are not adequate to protect public health. If you read the Bioinitiative website (above) you will see that adverse health or biological effects from exposure to microwave radiation begin at levels that are very much lower than the legal limits for devices that produce microwave radiation. The health risks associated with cordless and cellular phones (and from cellular phone infrastructure see: https://www.ncbi.nlm.nih.gov/pubmed/21741680 ) are one reason why New Zealand needs to protect and enhance its traditional copper-based landline phone system. Our copper landlines are now under threat. Please visit this LINK for more details and take action. Thank you for visiting www.stopsmartmeters.org.nz the site that provides New Zealanders with non industry information about smart meters. New Zealand researcher Mary Redmayne PhD recently presented an electronic poster (an e-poster) at the 2017 World Congress on Public Health in Melbourne. Dr. Redmayne’s research interests include the effects of electromagnetic radiation and health as well as how the use of wireless devices impacts on educational outcomes. NB: There are many other links on www.stopsmartmeters.org.nz relating to electrohypersensitivity (EHS). A paper by an Australian physician has linked smart meters to the development of EHS. Please click HERE for more information. The leading US experts on wireless radiation and human health impacts participate in a live press conference prior to their panel at the Pediatric Academic Societies Annual Meeting in Baltimore. Featuring Dr. Devra Davis, Dr. Hugh Taylor, Dr. Martha Herbert and Dr. Catherine Steiner-Adair. Please note that cordless phones and cell phones, wi-fi and microwave ovens are among some of the highest sources of the wireless radiation in many homes. A traditional landline with a cord and a safe hardwired internet connection is a good way to start to protect your children’s health. (Here and here are links to help you.) Also: Avoid using a microwave because a lot of microwave radiation can leak out of these ovens. NB: The relevance of this new study to smart meters is that smart meters and cell phones both produce microwave radiation. Microwave News has recently covered a new study by the National Toxicology Program that shows that exposure to cell phone radiation increases cancers in the unfortunate animals exposed to it. You can read coverage by the Wall Street Journal of this study at this link (you may need to be a subscriber to access the full article) or an article and interview about the study in Scientific American HERE. A 2014 study (published in the journal Pathophysiology) showed that the brain tumour risk was highest after 25 years of mobile phone use and after 15-20 years of cordless phone use. This is but one of many other studies showing a link between cell phone use and brain (and other) tumours in people. It is now indisputable that radiofrequency (RF) radiation in the microwave range such is produced by cordless and mobile phones, cordless phone bases, smart meters and cell phone towers has been classified by the WHO’s International Agency for Research on Cancer as a “possible carcinogen” (type 2B). I realise that many people do have jobs that require them to use a cellular phone. Please note that ideally, cellular phone use should be minimised, because the more cellular phones are used, the more cellular phone infrastructure is need to support the phones’ use – and living close to cellular phone base stations has been associated with increased risk of cancer in several studies, for example, the one that you can read HERE. Ed note: If you think that this article is important, please share it, thank you! Please note that it is NOT compulsory to have a smart meter in NZ and to learn how people are refusing to have one installed, please see this LINK. Please notethat it seems to be quite common for smart meters to be installed without prior notification, so if you still have an analogue meter and want to keep it, it would be prudent to take steps to prevent a smart meter installation NOW. Ed note: In the spirit of an image being equal to one thousand words, please look at the graph below. The graph was created using data supplied to Auckland City Council (prior to the advent of the “super city” Auckland Council) by Mighty River Power. As a general rule, Metrix has been installing Elster gREX mesh network smart meters in its customers’ homes. These are a type of radio mesh meter. 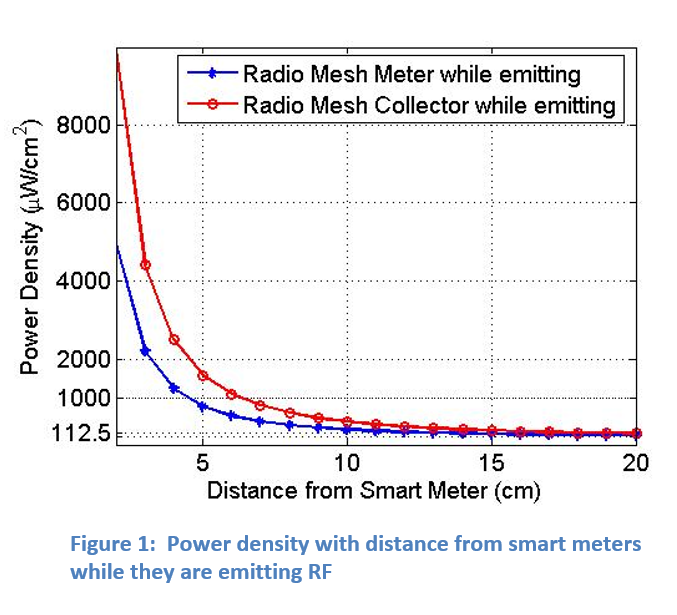 As you can see from the graph (which you can enlarge by clicking on it), at close range to the radio mesh network smart meter, the exposure from the meter when it is transmitting is very high. Please also note that the limit for RF at 900 MHZ, according to NZ Standard (NZS) 2772.1:1999 is approximately 450 µW/cm2 (450 microwatts per centimetre squared). Fortunately smart meters are not compulsory in NZ so no one needs to put up with this type of unnecessary exposure to this type of radiation which is classified as a possible carcinogen (type 2B). A note about units of measurement: Most of the posts on this site use microwatts per metre squared as a unit of measurement. Using this measurement, the upper limit under NZS 2772.2:1999 is approximately 4.5 million microwatts per metre squared while the upper limit recommended in the BioInitiative Report is 1000 microwatts per metre squared. Other posts on the site that discuss the emissions of different types of smart meters may be found HERE, HERE, HERE and HERE (under the Technical FAQs section). Cell phones don’t cause brain tumours. True or False? A new study by Professor Simon Chapman et al which was published by Cancer Epidemiology has just been trumpeted in The Conversation and the Daily Mail as showing that cell phones don’t cause brain cancer. Why was 10 years chosen for a cut off point for the Chapman study? The new Chapman study was designed to detect a 50% increase in incidence in brain cancer assuming that this excess risk should show up at 10 years of cellular phone use. Moreover, a major study by Lennart Hardell and Michael Carlberg published in 2014, showed a significant increase in glioma (a common, and unfortunately often fatal, type of brain tumour) for people who used both mobile and cordless phones. The 2014 study (published in the journal Pathophysiology) showed that the brain tumour risk was highest after 25 years of mobile phone use and after 15-20 years of cordless phone use. According to the Chapman study, mobile phones were introduced into Australia 29 years ago. Given that the Hardell study shows that it takes 25 years (or more) exposure for the maximum increase in cell phone-related brain cancers to be detected, it is perhaps not surprising that the 2016 Chapman study did not find a significant excess risk. According to the Chapman study abstract, cell phones were introduced into Australia in 1987 (only 29 year ago). While today over 90% of Australians are estimated to use a cell phone, at the time of the introduction of this technology to the country in 1987, only a small minority of people actually used a cell phone. (Even by 1993 only 9% of the population was estimated to use a cell phone.) On this basis, relatively few Australians would have had 25 years of exposure to cell phones over the period examined by the study and this would have biased the study towards a “no effect” result. Was the Chapman study designed to reach the conclusion that cell phones don’t cause cancer? There is no information about any of the authors’ possible conflicts of interest on the study abstract. However, Professor Simon Chapman appears to have (or have had) links with the cellular phone industry. The full text version of this paper acknowledges that funding for the study was provided by AMTA (Australian Mobile Telecommunications Association). Simon Chapman is also the author of a book called Lifesavers and cellular samaritans : emergency use of cellular (mobile) phones in Australia. Regardless of whether Professor Simon Chapman does or does not have any telecommunications industry links that may (or may not) have biased his new paper, in my opinion, the media coverage of his 2016 paper is potentially extremely destructive to public health. It is apparent from the Hardell studies that cellular and cordless phone risk are similar to cigarette smoking in that it can take decades of heavy smoking before lung cancer develops – and of course not all heavy smokers develop lung cancer, although they may suffer from other smoking-related conditions. With an estimated 90% plus of Australians using cellular phones (and a similar proportion of people in NZ), twenty five years from now we could easily be looking at a significant number of people developing brain tumours that could have been avoided had there been clear public health messaging to avoid cordless and cellular phone use – except in an emergency. As it is, the publicity given to Simon Chapman’s 2016 study means that most people are likely to believe that cellular phone use is safe. On the basis of the messages in the media relating to Simon Chapman’s 2016 study, they may even allow their children to use cellular phones, even though Hardell’s Pathophysiology paper showed that the risks from mobile (and cordless phone) use are higher in people who begin using these wireless phones prior to the age of twenty. However, while the smoking-lung cancer connection is now so well known it is practically taken for granted, this was not always the case. For decades, as genuine research on smoking and disease was being published, so too was tobacco industry funded research also published. This industry sponsored research (aka “tobacco science”) caused confusion in the public and resulted in many people continuing to smoke because they believed that it was safe – and consequently caused many, many unnecessarily early deaths. A failure by mainstream media to inform the public about the research that demonstrates links between cellular and cordless phone use and cancer could have the same tragic consequences. A monumental and perhaps the most inclusive work ever on MCS [Multiple Chemical Sensitivities] and EHS [Electrohypersensitivity] – Pelda B. Hyman, New York. In presenting a host of the non-communicable diseases that currently plague our society not simply as diseases of civilization but as by-products of that civilization’s reliance on chemo- and electrowizardry, Prostituting Science takes up where Silent Spring left off. Prostituting Science documents authoritative evidence for such an aetiology for a number of contemporary disorders ranging from asthma, migraine, diabetes, obesity, rheumatoid arthritis, lupus and cardiovascular disease; through ADHD, autism, Alzheimer’s and Parkinson’s diseases, depression and schizophrenia; to chronic fatigue syndrome, multiple chemical sensitivity, and electromagnetic hypersensitivity. In addition to mustering a formidable assemblage of scientific data, Mrs Crumpler documents her own family’s descent into disabling Chronic Fatigue Syndrome (CFS), Multiple Chemical Sensitivity (MCS) and Electromagnetic Hypersensitivity (EHS) as a consequence of heavy pesticide exposure. Here, too, is all the evidence you’ll ever need to convince the sceptics that these are bona fide physiological disorders, as well as an effective treatment protocol for recovery. As the title denotes, Prostituting Science also explores the paradox whereby the more that is known of a physical aetiology for these disorders, the more widely accepted have become allegations of psychogenesis. Within this context are also recounted gross abuses of the civil and human rights that other citizens of a representative democracy tend to take for granted. Diana Crumpler trained as a teacher-librarian and taught in Victorian schools until 1984, when she was forced to retire due to ill-health. 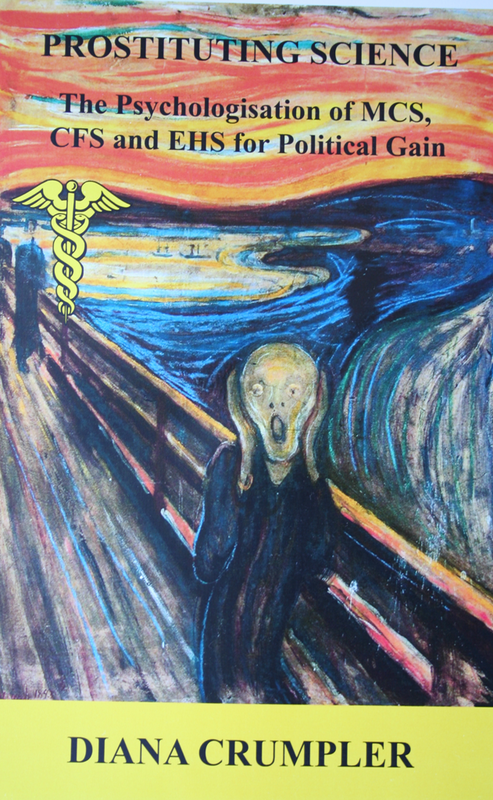 A career change was prompted by the eventual diagnosis of MCS and EHS. For the past 25 years she has been one of Australia’s foremost writers on MCS and EHS and the effects of chemicals on both human and environmental health. Her first book, Chemical Crisis, won widespread acclaim in Australia, North America and Great Britain. NB: The text above comes from the back cover of this book which I highly recommend to anyone who is interested in how chemicals and electromagnetic radiation can adversely impact health. On December 22, 2015, Whangarei journalist Clare Swinney used a Cornet ED 78S model EMR test meter to measure the microwave radiation (also known as radiofrequency radiation) adjacent to a smart meter which had been installed at a friend’s home. As you can see from the video below, the smart meter was shown in the test to emit brief pulses of microwave radiation every six seconds or so. The pulses of microwave radiation measured during this brief video clip were quite high; over 100 milliwatts per square metre or 100,000 microwatts per square metre. The highest pulse measured on December 22 was over 140,o00 microwatts per square metre. The previous day, the highest measurement had been 258,000 microwatts per square metre. The Bioinitiative Report (which was written by an international coalition of scientists concerned about the health effects from microwave radiation exposures) recommends a maximum exposure of only 1,000 microwatts per square metre. Landis+Gyr smart meters are also being installed in other parts of NZ including the South Auckland region by Counties Power. Network Tasman Ltd (which covers the Nelson and Golden Bay area) also indicated that it would install this type of meter as did Alpine Energy which is in Central Canterbury. NB: If you go to www.stopsmartmeters.org.nz and type Network Tasman into the search box you will found a lot of information about this company’s activities or you can go to this link. The meter appears to be owned by Metrix. (Metrix is a division of Mighty River Power which was partially privatised by the NZ governemnt. Metrix’s company motto is “Power is Information“). What if you don’t want to be exposed to microwave radiation from a Landis+Gyr smart meter? If you have a Landis+Gyr E 350 type smart meter at your home and do not want to be exposed to the potentially carcinogenic microwave radiation from the meter or you have developed symptoms like this lady since its installation, these meters do have a removable modem and ZigBee chip. Your electricity retailer should be able to arrange for the removal of the modem and ZigBee (also known as “communications module” for you. Once these components have been removed the meter will no long produce pulses of microwave radiation. (You can read more about smart meters with their modems removed at this link. Is the WEL “smart box” a way to facilitate “smart” water metering? Is the WEL “smart box” a health hazard? Did you agree to have a WEL Networks “smart box” installed because you thought it was compulsory? NB: Smart meters have been reported as a possible contributing factor in the development of electromagnetic hypersensitivity in some people. An international group of scientists who have expertise in electromagnetic radiation (EMR) and electromagnetic fields (EMF) have appealed to the United Nations for protection from exposure to non-ionising electromagnetic field exposures. How much microwave radiation do smart meters in NZ produce? There are a variety of different types of smart meters on the NZ market. These include EDMI Atlas Mk7A, Mk7C and Mk7D meters, Elster gREX meters and Landis+Gyr E350 series smart meters, to name a few of the more common types. The following links discuss the level of microwave radiation produced by different types of smart meters on the NZ market. Another type of meter (it looks from the photo to be an Elster gREX smart meter) was measured as producing 1,360,000 microwatts per square metre. The cell phone documentary Mobilize tells you the truth about cell phones and health. You won’t get this information from the telecommunications industry but what you learn through watching this film could save your life – or the life of a family member or friend. Mobilize will screen in Auckland on Tuesday, May 26 at 7.o0 PM at the St Heliers Community Centre, 100 St Heliers Rd, St Heliers, Auckland. Seating is limited; please phone 575 6098 to book your seat. Refreshments will be served after the film. The screening is free. This movie evening is being organised by Paul Waddell from www.safespace.net.nz. It is well worth joining his email list for information about EMR as well as events that are coming up. Companies that stand to profit from smart meter roll outs frequently claim that smart meters are “safe”. Too often, this assertion goes unchallenged. Below you can see how a group of scientists and health professionals wrote a letter which was published in a Canadian magazine. The letter rebutts claims by smart meter proponents that so-called smart meters are safe. “Smart Meters: Correcting the Gross Misinformation. “We wish to correct some of the gross misinformation found in the letter regarding wireless “smart” meters that was published in the Montreal daily Le Devoir on May 24. Submitted by a group Quebec engineers, physicists and chemists, the letter in question reflects an obvious lack of understanding of the science behind the health impacts of the radiofrequency (RF)/microwave EMFs emitted by these meters. “In fact, only a few such studies — two dozen case-control studies of mobile phone use, certainly not thousands, have reported no elevations of cancer, and most were funded by the wireless industry. In addition, these reassuring studies contained significant experimental design flaws, mainly the fact that the populations followed were too small and were followed for a too short period of time. “Non industry-funded studies have clearly demonstrated a significant increase in cancer cases among individuals who have suffered from prolonged exposure to low-level microwaves, transmitted notably by radio antennas. The effects were best documented in meta-analyses that have been published and that include grouped results from several different studies: these analyses consistently showed an increased risk of brain cancer among regular users of a cell phone who have been exposed to microwaves for at least ten years. “Furthermore, the argument that brain cancer rates do not indicate an overall increase in incidence is not evidence that cell phones are safe: the latency for brain cancer in adults after environmental exposure can be long, up to 20-30 years. Most North Americans haven’t used cell phones extensively for that long. The evidence of the link between long-term cell phone use and brain cancer comes primarily from Northern Europe, where cell phones have been commonly used since the 1990s. “Children are especially at risk. In May 2012, the U.K.’s Office of National Statistics reported a 50 percent increase in incidence of frontal and temporal lobe tumors in children between 1999 and 2009. This statistic is especially disturbing since in May 2011, after reviewing the published scientific literature regarding cancers affecting cell phone users, the International Agency for Research on Cancer (IARC) classified radiofrequency radiation as a 2B, possible human carcinogen. Despite the absence of scientific consensus, the evidence is sufficiently compelling for any cautious parent to want to reduce their loved one’s exposure to RF/microwave emissions as much as possible, as recommended by various countries such as Austria, Belgium, Germany, Russia and the United Kingdom. “Public fears about wireless smart meters are well-founded. They are backed by various medical authorities such as the Public Health Departments of Santa Cruz County (California) and of Salzburg State (Austria). These authorities are worried about the growing number of citizens who say they have developed electrohypersensitivity (EHS), especially since for many of them, the symptoms developed after the installation of such meters (it takes some time for most people to link the two events). “Since the turn of the millennium, people are increasingly affected by ambient microwaves due to the growing popularity of wireless devices such as cell phones and Wi-Fi Internet. Therefore, the mass deployment of smart grids could expose large chunks of the general population to alarming risk scenarios without their consent. According to seven surveys done in six European countries between 2002 and 2004, about 10% of Europeans have become electrosensitive, and experts fear that percentage could reach 50% by 2017. The most famous person to publicly reveal her electrosensitivity is Gro Harlem Brundtland, formerly Prime Minister of Norway and retired Director of the World Health Organization (WHO). “While there is no consensus on the origins and mechanisms of EHS, many physicians and other specialists around the world have become aware that EHS symptoms (neurological dermatological, acoustical, etc.) seem to be triggered by exposure to EMF levels well below current international exposure limits, which are established solely on short-term thermal effects. (2) Organizations such as the Austrian Medical Association and the American Academy of Environmental Medicine have recognized that the ideal way to treat of EHS is to reduce EMF exposure. 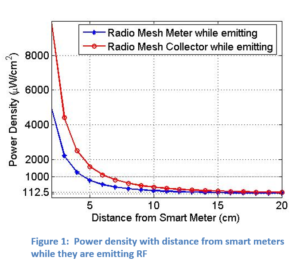 “Therefore, caution is warranted because the growing variety of RF/microwave emissions produced by many wireless devices such as smart meters have never been tested for their potential biological effects. “While the specific pathways to cancer are not fully understood, it is scientifically unacceptable to deny the weight of the evidence regarding the increase in cancer cases in humans that are exposed to high levels of RF/microwave radiation. “The statement that “there is no established mechanism by which a radio wave could induce an adverse effect on human tissue other than by heating” is incorrect, and reflects a lack of awareness and understanding of the scientific literature on the subject. In fact, more than a thousand studies done on low intensity, high frequency, non-ionizing radiation, going back at least fifty years, show that some biological mechanisms of effect do not involve heat. This radiation sends signals to living tissue that stimulate biochemical changes, which can generate various symptoms and may lead to diseases such as cancer. “Even though RF/microwaves don’t have the energy to directly break chemical bonds, unlike ionizing radiation such as X-rays, there is scientific evidence that this energy can cause DNA damage indirectly leading to cancer by a combination of biological effects. Recent publications have documented the generation of free radicals, increased permeability of the blood brain barrier allowing potentially toxic chemicals to enter the brain, induction of genes, as well as altered electrical and metabolic activity in human brains upon application of cell phone RF/microwaves similar to those produced by smart meters. “These effects are cumulative and depend on many factors including RF/microwave levels, frequency, waveform, exposure time, bio-variability between individuals and combination with other toxic agents. Clear evidence that these microwaves are indeed bioactive has been shown by the fact that low-intensity EMFs have proven clinically useful in some circumstances. Pulsed EMFs have long been used to successfully treat bone fractures that are resistant to other forms of therapy. More recently, frequency-specific, amplitude-modulated EMFs have been found useful to treat advanced carcinoma and chronic pain. “High frequency EMFs such as the microwaves used in cell phones, smart meters, Wi-Fi and cordless ‘‘DECT’’ phones, appear to be the most damaging when used commonly. Most of their biological effects, including symptoms of electrohypersensitivity, can be seen in the damage done to cellular membranes by the loss of structurally-important calcium ions. Prolonged exposure to these high frequencies may eventually lead to cellular malfunction and death. “Furthermore, malfunction of the parathyroid gland, located in the neck just inches from where one holds a cell phone, may actually cause electrohypersensitivity in some people by reducing the background level of calcium ions in the blood. RF/microwave radiation is also known to decrease the production of melatonin, which protects against cancer, and to promote the growth of existing cancer cells. “In recommending that the Precautionary Principle be applied in EMF matters, the European Environment Agency’s Director Jacqueline McGlade wrote in 2009: “We have noted from previous health hazard histories such as that of lead in petrol, and methyl mercury, that ‘early warning’ scientists frequently suffer from discrimination, from loss of research funds, and from unduly personal attacks on their scientific integrity. It would be surprising if this is not already a feature of the present EMF controversy…” Such unfortunate consequences have indeed occurred. “The statement in the Le Devoir letter that “if we consider that a debate should take place, it should focus exclusively on the effects of cell phones on health” is basically an acknowledgement that there is at least some reason to be concerned about cell phones. However, while the immediate exposure from a cell phone is of much greater intensity than the exposure from smart meters, cell phone use is temporary. “People are exposed to cell phone microwaves primarily in the head and neck, and only when they use their device. With smart meters, the entire body is exposed to the microwaves, which increases the risk of overexposure to many organs. “In addition to these erratic bursts of modulated microwaves coming from smart meters that are transferring usage data to electric, gas and water utilities, wireless and wired smart (powerline communication) meters are also a major source of ‘’dirty electricity’’ (electrical interference of high frequency voltage transients typically of kilohertz frequencies). Indeed, some scientists, such as American epidemiologist Sam Milham, believe that many of the health complaints about smart meters may also be caused by dirty electricity generated by the “switching” power supply activating all smart meters. Since the installation of filters to reduce dirty electricity circulating on house wiring has been found to relieve symptoms of EHS in some people, this method should be considered among the priorities aimed at reducing potential adverse impacts. “The apparent adverse health effects noted with smart meter exposure are likely to be further exacerbated if smart appliances that use wireless communications become the norm and further increase unwarranted exposure. EcoWest is a month-long festival of diverse events from 14 March – 12 April 2015, showcasing the people and projects caring for the West Auckland environment and connecting you with a myriad of opportunities to discover, make, regenerate and learn. This year’s festival programme features over 40 events hosted by innovative environmental organisations, businesses, sustainability experts and creative entrepreneurs who embrace eco ideas through their work. As part of the Eco-West Festival Paul Waddell from www.safespace.net.nz will be giving a presentation on Wednesday 25th March from 6.30 to 8.30. This will be a practical demonstration of testing for electromagnetic radiation and a discussion on how to be safer in our modern techno world. Cost is $10. Please click here to make a booking. An Environmental Sensitivities Symposium is coming up in 2015. The Symposium is designed to help people with a variety of illnesses, including those who have electromagnetic sensitivity (also known as electrosensitivity or electrohypersensitivity), multiple chemical sensitivity (MCS), food allergies and other conditions such as Chronic Fatigue Syndrome and Lyme disease. Prof Olle Johansson, associate professor, head of the Experimental Dermatology Unit, Department of Neuroscience, at the Karolinska Institute in Stockholm, Sweden, is a world-leading authority in the field of EMF radiation and health effects. Martin Pall, PhD, Dr Christabelle Yeoh and Lucinda Curran.